A para-athlete, a film-maker, a graphic novelist and a conductor are the first four nominees for The Straits Times Singaporean of the Year 2017 award. 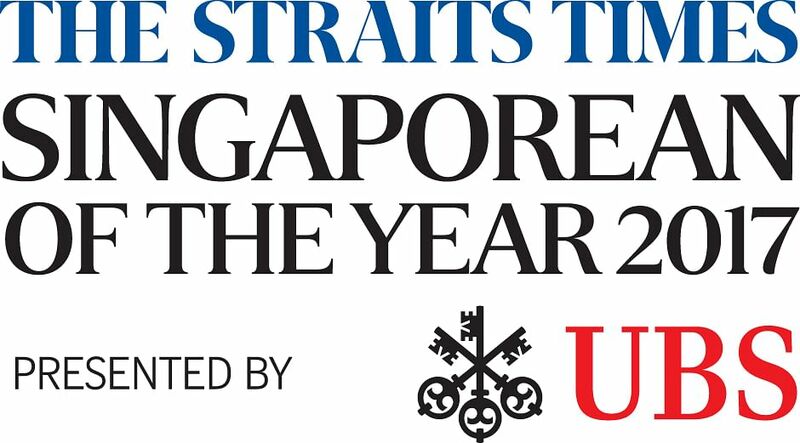 Now in its third year and supported by the bank UBS Singapore, the award seeks to recognise Singaporeans whose extraordinary acts of goodwill have improved their community and the lives of others. Singaporean individuals or groups can be nominated for the award until the end of the year. Other shortlisted candidates will be unveiled in two more batches during this month and next. This will be followed by two weeks of public voting, and the outcome will be used as a reference by the 15 judges when they are making their final decision. The shortlisted finalists are navy serviceman and para-athlete Jason Chee, who won a gold medal for table tennis at the Asean Para Games five years after a horrific accident; film-maker Kirsten Tan, whose debut feature Pop Aye has been selected as Singapore's submission for the Foreign Language Film category at the 90th Academy Awards; cartoonist Sonny Liew, whose graphic novel The Art Of Charlie Chan Hock Chye won three Eisner awards; and conductor Wong Kah Chun, who won the Gustav Mahler Conducting Competition. The Singaporean of the Year will receive $20,000 and a trophy, while the other nine finalists will each get $5,000. The prize money will be sponsored by UBS.Besides editors from the ST newsroom, the judging panel includes chef and restaurateur Willin Low, and social entrepreneur and activist for children and women Saleemah Ismail. Every now and then, Jason Chee, 34, gets asked: "Just how do you do it?" "A lot of people ask, why are you so determined, despite losing so many things?" said Chee, who lost both his legs, left arm and three fingers on his right hand, after a horrific naval accident in 2012 when he was caught between a motorised winch and a berthing rope. "I just tell them, we only live once. We have to fight on." Conductor Wong Kah Chun, 31, goes the extra mile to prepare for concerts, including observing orchestras incognito. Wong, who won the first prize at the prestigious Gustav Mahler Conducting Competition in Germany last year, said: "I like to do research on the orchestras I am working with. If I have time, I fly to the city and listen to their concerts first." Film-maker Kirsten Tan, who spent several years in her 20s living a nomadic life in Thailand, said: "I feel, deep down, there's a wanderer in me." The 36-year-old's debut feature Pop Aye - born from wanderlust and real-life vignettes - was recently picked as Singapore's submission to the 90th Academy Awards in the Foreign Language Film category. The road movie, about a disillusioned Thai architect and his elephant friend, won prizes at the Sundance and Rotterdam film festivals, both firsts for a Singaporean. Cartoonist Sonny Liew, 43, came to Singapore from Seremban, Malaysia, when he was five and became a Singaporean about five years ago, when he was working on his acclaimed graphic novel, The Art Of Charlie Chan Hock Chye. The defining moment was Singapore's 2011 General Election. "It was the first election I really felt engaged in, partly because social media played a bigger role in that election," said Liew.